Find an example that was moved at some point in its past. 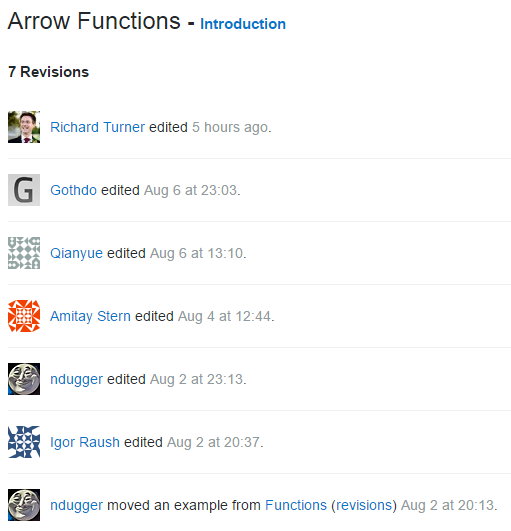 For example, Introduction to Arrow Functions. Click the "edited" link at the end to view the revision history for that example. Observe that the revision history only goes back as far as the move. Click the (revisions) link to view the revision history prior to the move. Click "View Topic" on any revision in the pre-move list (that is, any revision except for the one that moves the example). Observe that you're looking at a 404 page. Observe also that the topic ID in the resulting URL is the topic that the example was moved to, although you clearly indicated that you wished to view a revision prior to the move. Links to revisions of an example prior to it being moved should reference the topic that it was moved from, not the one it was moved to. 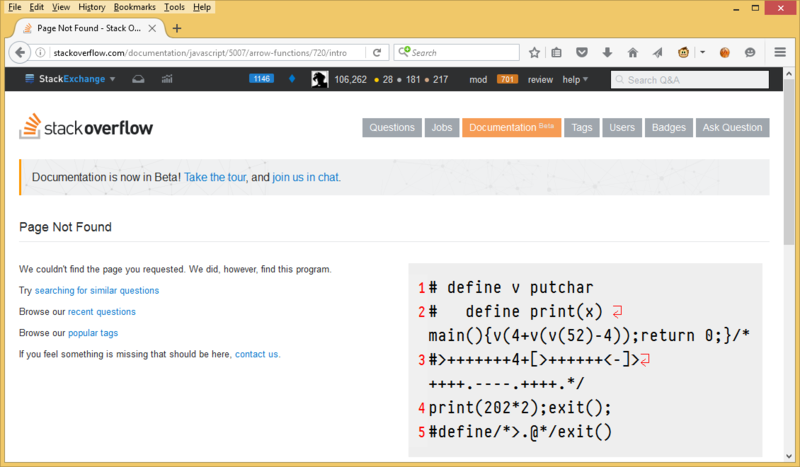 This should be fixed in the next build, thanks; specifically, the link between steps 5 and 6 will link to the correct topic for the chosen revision. Not the answer you're looking for? Browse other questions tagged bug status-completed documentation revision-history documentation-examples .